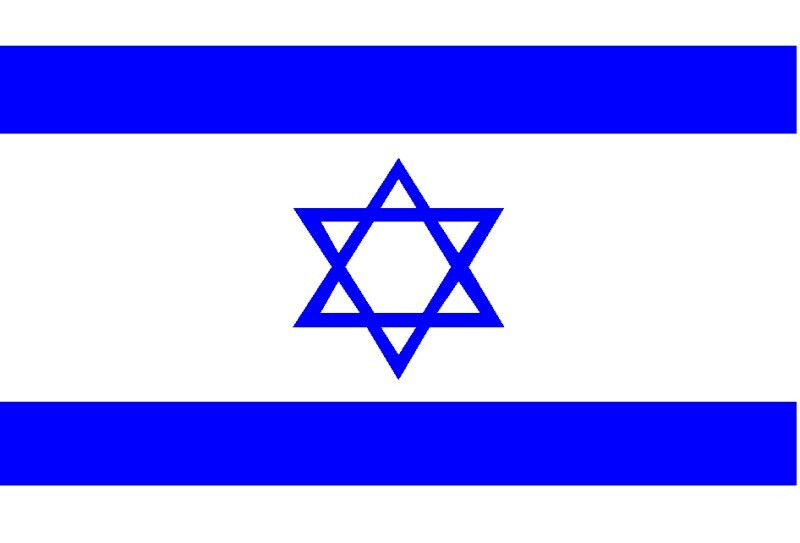 Adonai, Elo Heinou, Adonai Akad"
It is imperative that West African, Americanized, Black, Emancipated, Freed Chattel Slave Citizens of the United States of America Stand With US-Eretz Israel, which is the Return of Abraham's Seed to the Blessed Promised Land...the only Jewish State in the world in over 2,000 years. After the longest flight of my life which was (13 hours) from Los Angeles to Israel, I landed at the world famous Why I Journeyed to Eretz Israel Ben Gurion Airport in Tel Aviv on the evening of December 21st, 2009 to begin the ten day visit arranged for me by my host at Stand With Us. Walking in a state of wonderment, I would often tell folks who acknowledged my presence that it was first journey to Israel, all of whom said that I would be blessed. Of course, they were right. As we traveled from Tel Aviv up the mountains to Jerusalem where I would reside in a hotel only a block away from the Prime Ministers House, my assigned taxi driver was inundated with a barrage of question from me about everything that was seeable in the night, including certain armor vehicles as memorials to the Six Day - Lightning War of June 1967. What really struck me that night and often throughout the journey was the little villages or towns on the top of hill shining their lights at night and gleaming with Jerusalem sand stone buildings in the day. Such beautiful sights, those little towns! It was then that I began to understand what Jesus Christ meant when He spoke of "city set on a hill"...wow! However, the other excitement that I experienced that first evening was actually traveling up the mountain. The driver told me that Jerusalem was set on the top of a mountain. Of course, I thought....because the Bible often speaks of Jerusalem and Zion as being a mountain of mountains, etc. Then the realization hit that all my short life, though knowing what the Scriptures says, I thought and imagined that the land around Jerusalem was flat. Another huge misconception. It is like when I thought that it was the Democratic Party that freed Blacks in America from slavery. Then I had dinner with a STW staff member in a small restaurant club near my hotel that was bustling with life (kiam) of mainly young folks twenties and thirties and learned that seven years ago a homicide-suicide bomber exploded his miserable life in it and killing twenty (22) people. Nevertheless, I was told that instead of closing and being depressed, the owner courageously reopened the club and started anew, not allowing the evil taunt-curse from the Islamafascist "Death to Israel" to be a reality, therefore their terrorist attack upon the children of Israel back-fired. I was awed to be there. In fact, I ate several meals there and became friends with the manager as well as some of the staff. Then we went to the West side of the Mount and look westward towards the familiar sight known around the world as Old Jerusalem featuring Dome of the Rock Shrine; the Al Axah Mosque; the Tower or citadel of King David; the Eastern Wall showcasing the East or Golden Gate that Jesus passed through and by which the Jewish Messiah will pass upon His coming and entrance into Jerusalem. All of these experience on this my first day in Eretz Israel from YAD VAHEM to the Mount of Olives to the Wall is on video and being prepared for a documentary, therefore at a latter day you will be able to see in greater detail what occurred set the course for the rest of my epic journey. The next nine days the staff escorted me from the borders of Syria and Israel on Golan Heights, to Nazzereth the boyhood town of Jesus, to the Sea of Gallilee, to the Valley of Megiddo, to Jaffa and Tel Aviv, to the Gaza-Israel border and Sdorot - see Gaza Hamas Rockets (+), to Sheba Medical Center at Ted Hashomer near Tel Aviv, to the Dead Sea, to Massada - see Massada (+), to the Little Village of Peace in Dimona consisting of a community of transplanted, ex-patriot American Blacks, to Bethlehem. All along the journey, I saw, met, spoke with and interviewed all kinds of people in Israel, including Muslims who were dressed in their full Islamic custom regalia, all of whom spoke well of Israel except on occasion in Bethlehem square. Israel is ethno-racial-religious composite of three religions which are Judaism, Christianity and Islam. I met and saw Jews who are Ashkenazi-European (White), Sephardim Arabian and Persian, Black Ethiopian and Sudanese. Also, I learned that the majority of Israelis are not from Europe as mythic tale goes, but rather Arab nations. Whatever, the religious beliefs, ethno-racial identity, social class, etc, I learned most importantly the people of Israel love each other like not other folks that I have known, including my own. In fact, while their are some in-yo-face- moments between them around various issues like traffic snarls, I could actually sense the love that Israelis have for one another. This narration is a quick overview of my journey to Eretz Israel. However, you will find the rest of my report establishing my reasoning for standing with Israel. I hope that our Heavenly Father will reveal to you what HE has graciously shown to me. The primary reason for my epic journey to Eretz Israel, was/is to capture a general “snap-shot” photo of Israel and his varied peoples, faiths, customs and apparent destiny in documentary form American Black US citizens, i.e. the Emancipated Slaves, as well as Christians of all sectors or denominations and peoples, ethno-racial nations throughout the earth and religious Beliefs. It is my wish, desire and intent to move Blacks in the United States to Stand with Israel especially in these, his “Time of Jacobs Troubles”. As seemingly prophesied in the Hebrew Holy Scriptures (Bible) that prior to the coming of the Messiah Jew and David's Kingdom, the GOD of Abraham would bring all nations against Jerusalem, Zion and the Jewish State of Israel for chastisement. As a nation within a nation forged by GOD through the dreadful experience of slavery, and struggle to full Civil Rights in America, it is imperative that when the dark and bright day of the LORD does come, we, as Blacks are found Standing as it were within the walls of Jerusalem with the Children of Israel. We must not be found in the sight of GOD as a participant of the notorious Nimrod-rebellion rabble of nations outside the Walls of Jerusalem cursing and attacking the inhabitant thereof. Admittedly, such a position is love for self, however, it is the only hope that my people have to escape total destruction being cause by our own hands. Subsequently, while such a stance with Israel in Jerusalem seems selfish, it nonetheless follows the admonition of Jesus Christ when He commands us all to love GOD and our neighbors as ourselves, because upon these two commandments rest all the laws and prophets. The LORD clearly reveals that love of another is impossible without first loving oneself, thereby making all other pretenses of such, phony. It is time that we West Africans slaves who were emancipated into jurisdictional US citizenship learn to cease the ancient, hateful, multiethnic quarrels of our ancestors which originate in the land from where we were exiled. In these dark and bright days, we must end the raging war within our wounded souls to finally love ourselves even as we are love of GOD. Approaching Abraham and his children in such a manner just may be the remedy to ourselves by the Healing Wings-Light Rays of the Sun of Righteousness as prophesied in the last book of the Hebrew Holy Scriptures of Malachi 4:2. According to the Solomon Covenant with GOD made during the dedication of the first Temple, the ancient King of Israel requested that when the “stranger who is not of Israel” come from a far country to the House that has the LORD’s Name on it for the sake of the seeking pilgrim’s suffering peoples, that HE would hear and stretch forth HIS Might Arm to deliver them from their self-destructions, that HIS Name may be among them as well. This is precisely one of the main reasons that Jesus the Jew says, “Salvation is of the Jews”. It is my understanding and faith that salvation is of Jews because they being the Promised children of Abraham who is the Friend of GOD, are thereby the sole Witnesses or servants, of HIS Existence and Will for all the nations of humanity. Therefore, knowing this to be true, seeking the LORD of the Hebrew peoples by the Solomon Covenant, including blessing them according the Promise made to Abraham, is my only option, especially considering the state of existence of Blacks in the USA, Africa and abroad. The salvation of my people via terrestrial contemporary powers whether: political-governmental, economical; military, para-military, revolutionary; or even religious, is beyond our reach, due to the horrid circumstances and lack of time it would take to save them, is gone. Therefore, I went (and still am there in Spirit) to the Promised Land of the holy peoples thereof, to the House on Mt. Zion, where the Name of The LORD Is, to the Wall of Wailing at the Temple Mount in the city of "old" Jerusalem to speak with HIM about our plight and to offer my blessings to Abraham's Seed. For too long, Black folks, especially Christians, have taken sacred pilgrimage to the Holy Land seeking the Promised Blessing of Abraham of his seed-children, literally freely eating at their table. In returning home to America or Africa, or from wherever they hail on the earth, the Seed of Ham and Cush tend to keep their Abraham Promised blessings to themselves within the walls of their churches, etc., instead of being the witnesses of GOD’s Presence in the Holy Land and verifying HIS prophetic commands, that Israel is the Jewish State of ancient King David. 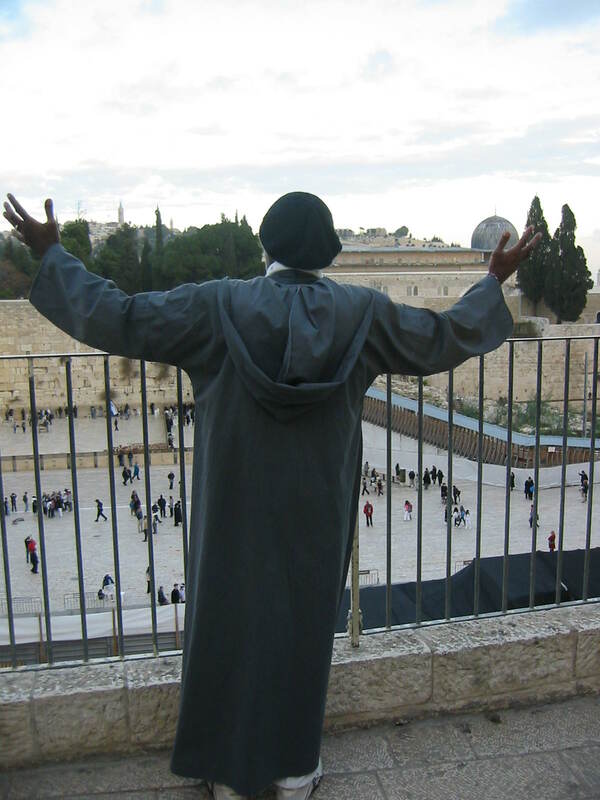 It is for Blacks, especially those who physically visit the Eretz Isael, seeking and receiving the blessings of Abraham’s Seed, that they publicly, beyond the walls of their churches, bless Abraham by speaking up for his returned Seed to the Promised Land as GOD has fore sworn HIMSELF to for the sake of Abraham. As Blacks, who boldly stomp into the LORD’s House, brazenly set our selves at HIS Holy Table with HIS children, even casting them aside instead of acknowledging, showing gratitude for who they are and represent, we have fallen into a state of omission in our duty to HIM Who saved us from African originated slavery. We must not be as the drunken, reveling King of Babylon, BEL-SHAZZAR, son of Neb-u-chad-nezzar, (Daniel 5:1-31) who dared to liquor himself and his fellow revelers by drinking their intoxicating mixtures out of the House of the LORD’s Holy Vessels, whereby he and his whole kingdom was destroyed by the Will of HIM whom he had offended. We Blacks, tend to this sort of shameful behavior as we too, however. Led by our ministering shepherds, we travel to Israel for the special blessings; or we get joyful blessings and releases from GOD as we shout and sing HIS praises, etc; we are thrilled by the powerful messages preached to us from the Hebrew Holy Scriptures, etc. Yet, while we eat, drink at the Children’s Table of the LORD and “enjoy ourselves” in church, we sit silent to the global oppression of Israel, the Returned Home in his Time of Troubles. We must not join the violent, blood crazed with jealousy antics of Esau, the twin brother of Jacob-Israel in his quest to do fatal violence to him by standing-by and encouraging his calamity, as is noted in Obadiah 11. "In the day that you stood on the other side, in the day that the strangers carried away captives his forces, and foreigners entered into his gate, and cast lots upon Jerusalem, even you were as one of them." Note, "When the enemy comes in like a flood the LORD Will raise up a Standard against him…from beyond the rivers of Ethiopia, I my suppliants"
Also, all that is left of the Temple of the LORD there in Jerusalem on Mt. Zion is the foundation leaving only the Western Wall or Wailing Wall for Jews, Christians and the nations to come commune with the GOD of all the Earth. In Spirit, the House of the LORD Is HIS peoples in the Holy Land and abad who are in desperate need of assistance during this their “Time of Jacobs-Israel’s) and the period when the bones, sinews, flesh, skin, shake together into the returned Israel who is about to breath full life (kiam), it is our duty to be in the “wind” of GOD to support and welcome them in their home.